A slightly more powerful microphone with a courser, strong, rich and full sound across the acoustic range but with a dirty distorted sound. Headroom slightly lower, and sensitivity slightly higher than 4KΩ (clean sounding) microphones. 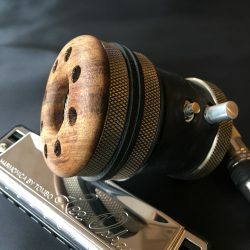 The microphone has a really “hot” signal that is packed with full harmonic content and great tone with perfect base and mid-sound without treble. The 40KΩ offers the highest sensitivity of Silver Bullet range with slightly lower headroom so if you like crunch distortion and a lovely dirty blues sound this is the microphone to chose. Turn up the gain to drive the mic’ and achieve various degrees of distortion. At sound-check use the gain on the mic to find your sweet-spot with rig/amp settings – balancing amp and mic volume to achieve the desired level of distortion and volume. 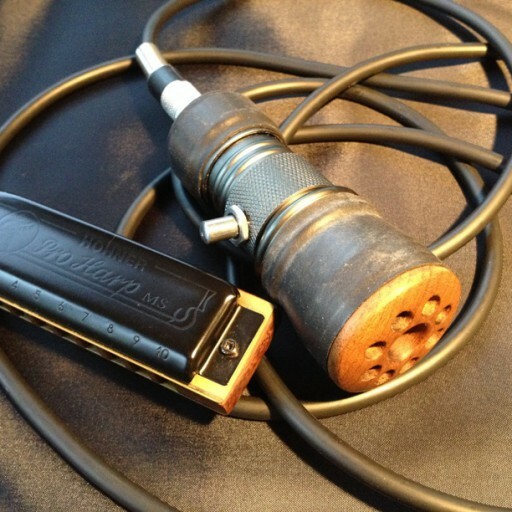 Use a touch of reverb to achieve a crunchy classic “blues” harmonica sound which is full of tone. 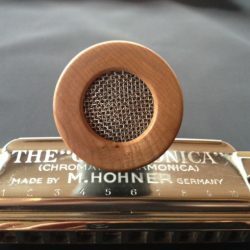 Dynamic microphones have proven reliability and are ideal for practice or gigging – blues and country harmonica performance. 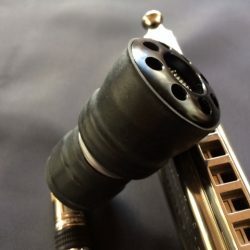 These microphones are high (40KΩ) impedance which should be matched to a high (400KΩ/0.4MΩ) impedance, sometimes labelled as a passive socket on your amplifier. 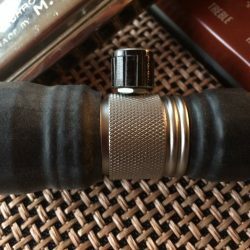 Poorly matched impedance may diminish the volume and performance of the mic. An amp input impedance of at least 10 times the amount of the source mic impedance is advised. 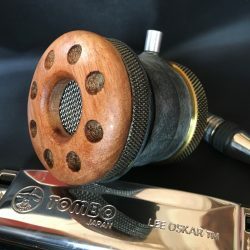 Check out Ben Hewlett’s video review comparing the 4KΩ (clean) and 40KΩ (dirty) Silver Bullets – which includes some cool playing showcasing the lovely tone of both these microphones when played by an expert!. See Tim Douthit’s video review and sound sample of the 40KΩ dynamic Silver Bullet comparing it to the classic Green Bullet. 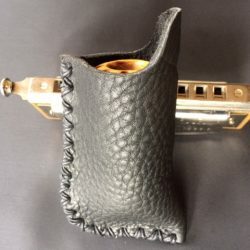 These high impedance, dirty sounding silver bullets are awesome little microphones with technology and craftsmanship that delivers a compact design with many of the features a harmonica player wants and needs and is very technique sensitive.